Suspension Tongues: Conti Therm s.r.o. We also produce hanging suspension tongues for movement of objects of various shapes, sizes and weights. 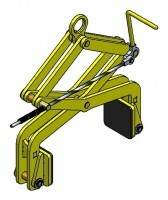 The jaws ensure equal pressure distribution and help transmission of the created clamping force. They are fitted with abrasion resistant material which prevents damage to the surface. Tongues can be operated by hand or pneumatically, depending on the customer´s wish. 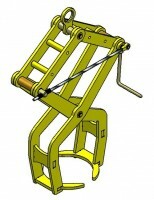 They are individually designed to fulfill customer specific requirements.